Our TREECO team offers you the best option for tree removal service in St. Augustine and Jacksonville, FL. We have the expertise you need to safely get rid of tree stumps, and we do it at the most reasonable tree surgeon cost. Once a tree has been removed, stump removal can be completed to remove the underground stump. Stump removal can decrease the chance of disease and insect infestation, and it also makes the yard look more attractive. It is a difficult and potentially hazardous task for homeowners to attempt on their own. The proper tools and skills are required to make sure the job is done safely and efficiently. 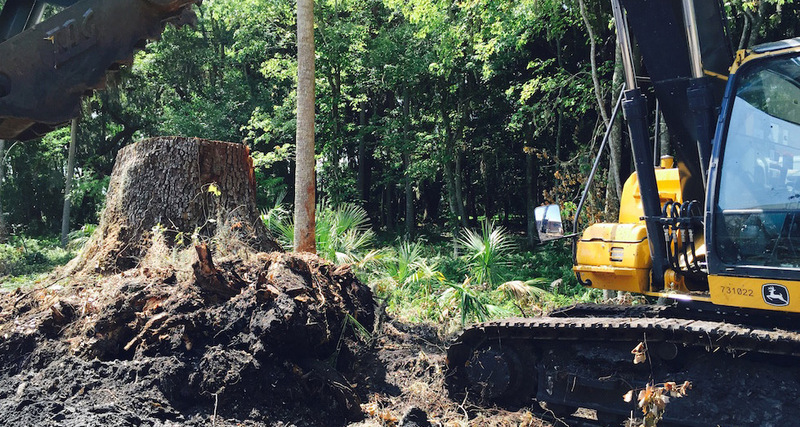 TREECO arborists utilize a variety of special stump grinding machines to expertly remove stumps in the St. Augustine and Jacksonville area. TREECO is one of the best customer choices when it comes to tree care service. we also offer comprehensive services such as tree trimming, debris removal, general upkeep & tree removal Jacksonville & Jacksonville, FL. Get started today with our professionals. Looking for Professional Stump Grinding Services?